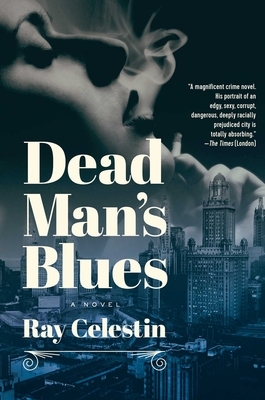 Ray Celestin’s Dead Man’s Blues is the second in a planned quartet of books, following The Axeman. While I haven’t read the previous novel, this tale of private eyes, Chicago gangsters, and jazz has me wanting to go visit that story set in New Orleans. Dead Man’s Blues stands perfectly on its own. The book has several plot lines with fiction binding historical elements. One involves two characters from The Axeman, Ida Davis, a light-skinned black woman, and Michael Talbot, an ex cop married to a black woman, both now working at Pinkerton’s. They catch a case of a missing heiress known to frequent the jazz clubs and speakeasies of the city’s black section known as Bronzeville. Dante Sanfelippo, a sharp bootlegger out of New York is called in to help a colleague, Al Capone. A traitor in Al’s midst poisoned a batch of booze sent to the mayor and Dante must ferret out who it is. The plot lines criss-cross through 1928 Chicago, which acts as a character itself, sometimes as an aide, other times as an obstacle to our investigators. It is portrayed as vibrant, dangerous, and intricate to navigate with differing neighborhoods and societies. Celestin’s tour through the stock yards resembles a descent into Hell. Ida covers more ground with the help of her childhood friend, Louis Armstrong. Celestin sets out a sprawling tale that shifts from part to another seamlessly, racing toward a beautiful big ending, like a great hot jazz number. Celestin is slated to have two more novels, charting the progression of jazz and the mob in America. I look forward to further lessons. Read this author books. Can’t wait for mobsters lament. Just wish I could get the author to sign his book and my read. So happy I would be. Ray I live Manchester if you are willing to show up on release date of your book, again my read.